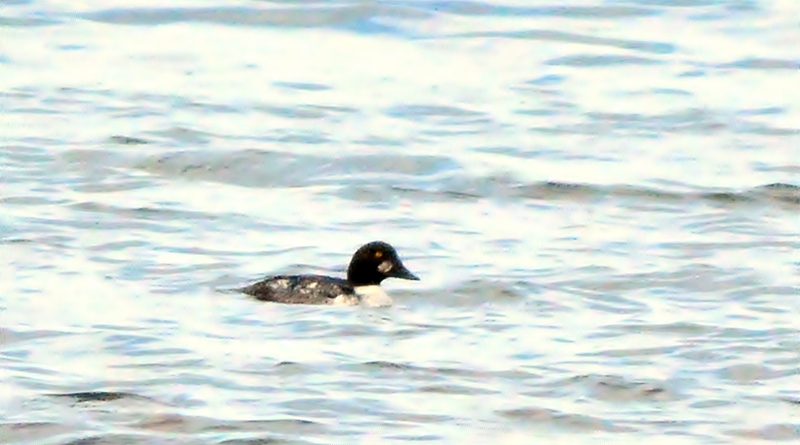 My first common goldeneye from very far away. I had to stand on a picnic table to catch him when he swam away from the tall reeds in front of the lake. This was taken with my 300mm lens and extremely cropped up. Bad shot but at least I can add him to my list. This is the first time I’ve ever heard of one being in the area. 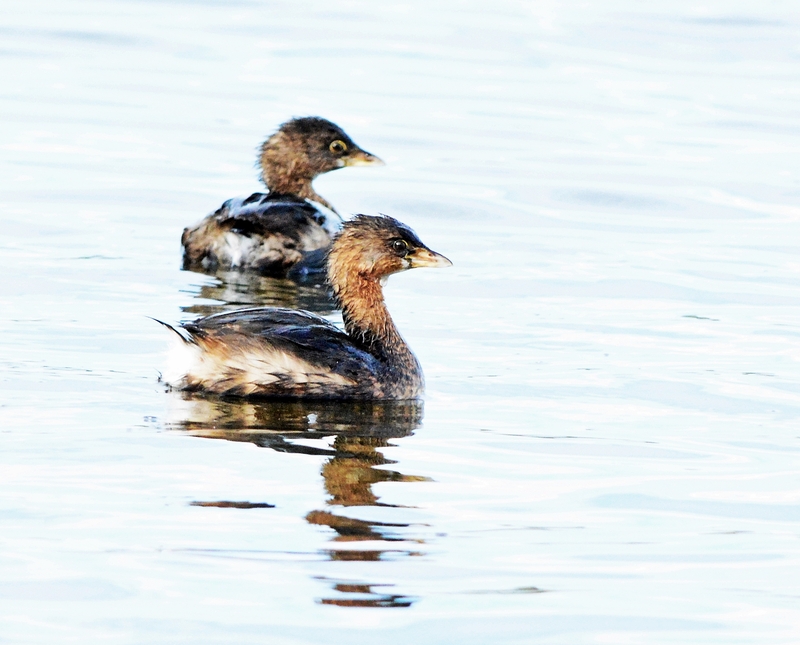 These little grebes were looking at me like I was crazy. Standing in the drizzle looking for a duck. After a while, the clouds started to disappear. 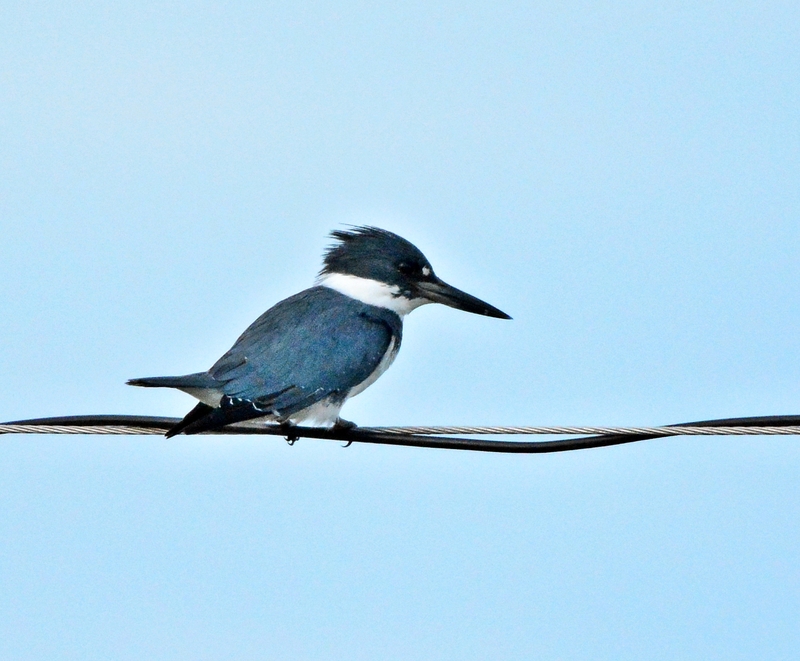 This kingfisher was watching me watching him. Now watching me on a pole in the lake. 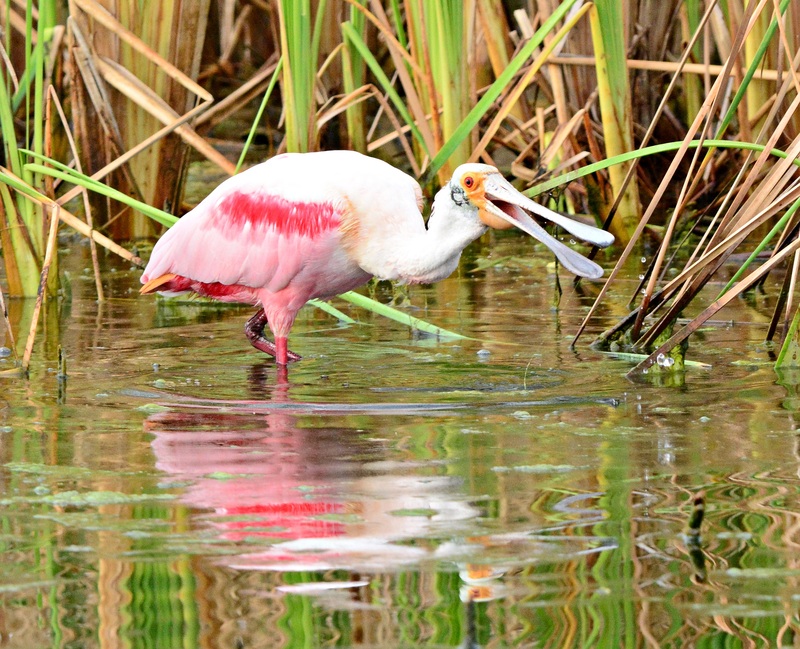 This spoonbill agreed with the grebes. I think he was laughing at me. 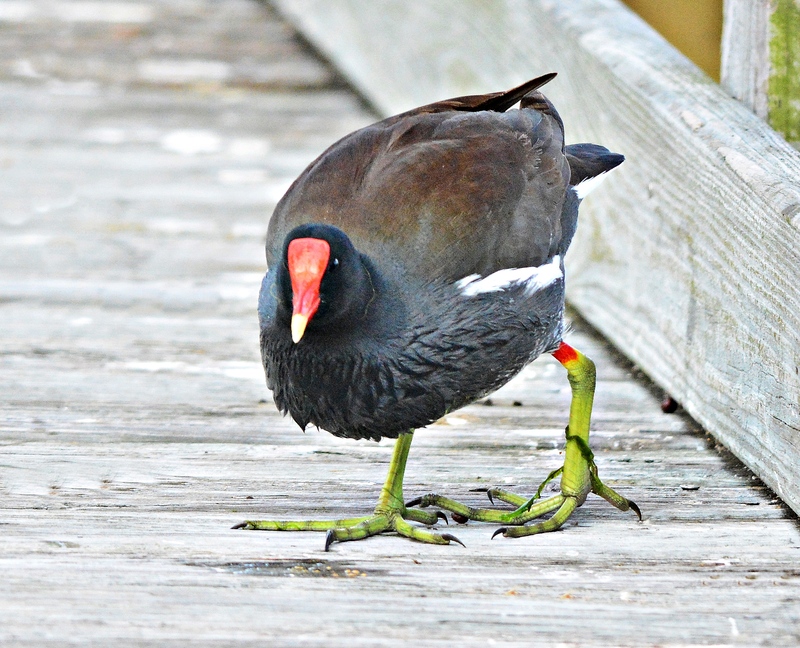 Moorhen with the big yellow feet. The goldeneye had been reported for a few weeks at the lake that Boyd Hill Nature Preserve sits on. It was across the lake from the park at a boat ramp. I finally made it over there in late January. It had been raining and I almost didn’t go. Luckily it stopped raining and the sun came out. I’m glad I braved the weather since now I have a new duck for my list! Baby moorhen is not much bigger than the lily pad flower. Male anhinga showing off on a platform. I don’t know what that little concrete platform is in the middle of this lagoon. Maybe at one point it was a water fountain? Baby alligators were all along the boardwalk. Since alligator nesting season has just started for this year, I’m assuming this little guy was born late last summer. This was the first time I’ve seen these purple martin birdhouses on the trail. Both condos and townhouses. The laugh is on me. I’m walking into the sun looking up at the birdhouses. I think I see a bird on the house. I think “Wow, that bird is letting me get close” as I walk up to the house. I snapped a shot with my flash and realized it was a decoy. 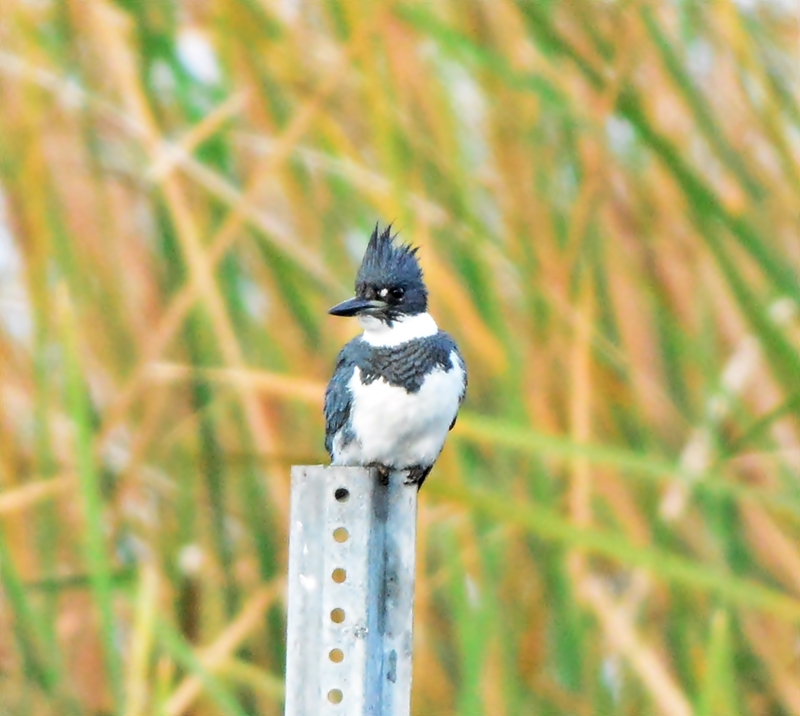 It would have been my first purple martin. Oh well, I’ll keep my eye out there for a real one. These look a little like poinsettias. There was a big field of them growing. I hadn’t been to Boyd Hill in south St. Petersburg in months. I didn’t think I would find too much there in the heat of summer but was hoping for a raccoon or snake at least. I saw neither but there were a few other things there. Things are pretty quiet right now at most of the parks but I did hear fall migration is slowly starting so I better rest up for that excitement.